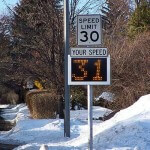 The RU2 Systems has your pole mount traffic calming needs covered with our Fast-350 pole mount radar speed signs. 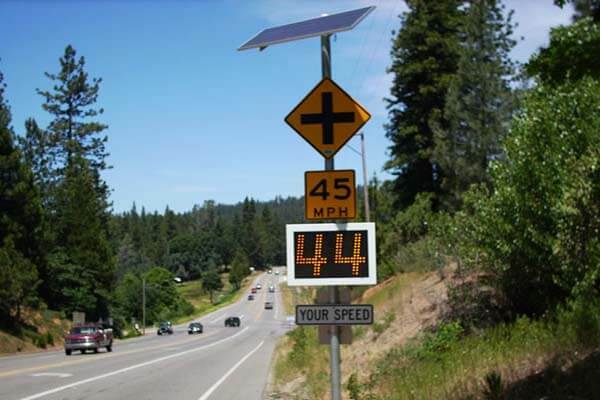 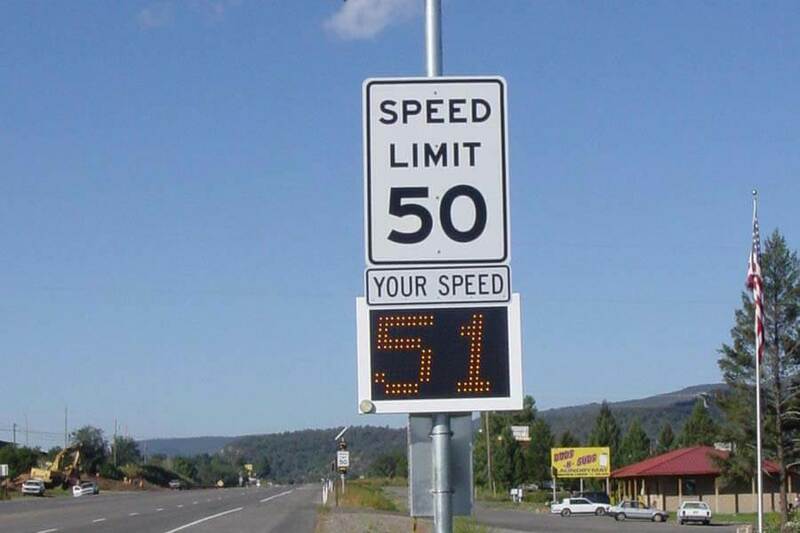 Mounted permanently or semi-permanently, these high intensity LED speed signs get the attention of oncoming drivers. 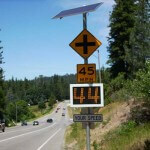 The signs can be directly hard-wired to your electric service or optionally powered by a solar panel power system. 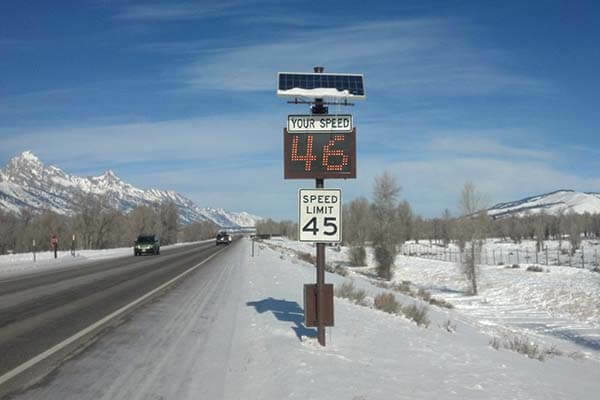 Each of these designs feature a full matrix high intensity LED display with 18″ characters. 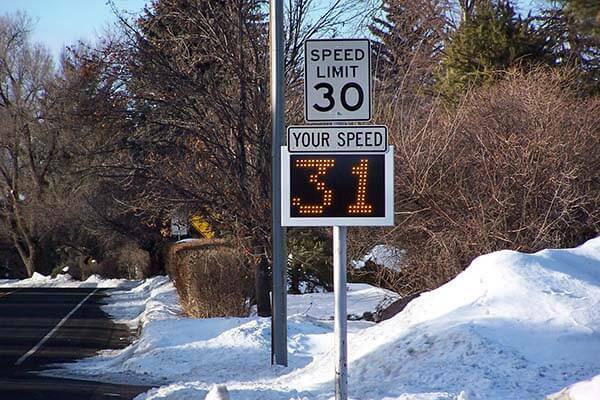 The 18″ character is appropriate for higher posted speeds (40 MPH and above) and is readable to 1250 feet. 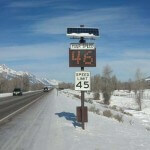 In addition to the standard flashing digit Violator Alert, several additional Violator Alerts are available including an embedded “SLOW DOWN” message, our flashing Red/Blue bars, particularly effective at night and anew white LED strobe.